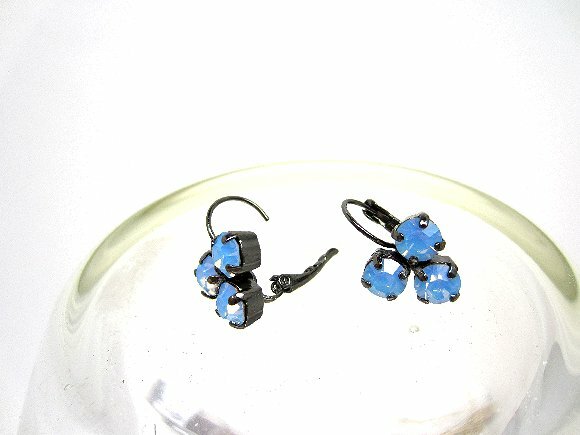 The glowing vintage crystal stones in these earrings each measure more than 6mm across. Three stones are securely prong-set in sturdy gunmetal plated brass mountings for each earring. 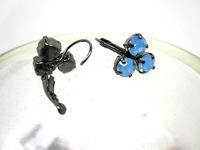 The mounts have been soldered to leverback findings to make a pair of earrings that is beautiful and unusual. I?m listing these earrings in different colors and metal finishes; if you don?t see what you like, drop me an email to ask about a custom order. 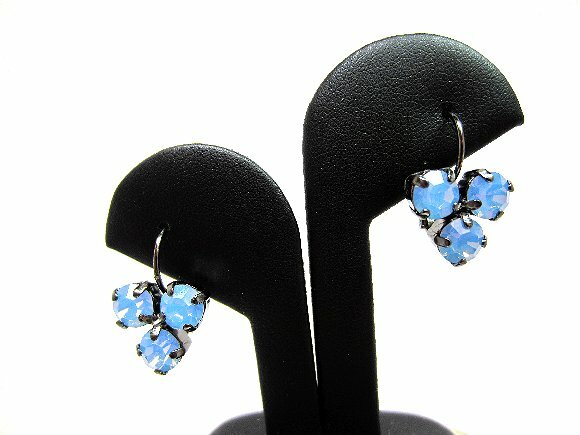 Be sure to see all sparkly crystal earrings here at SPARKLE PLENTY. All our one of a kind and limited edition artisan beaded jewelry is individually handcrafted in our studio in Los Angeles, California. Be sure to browse our online store to see all our bracelets, necklaces and earrings and other fashion accessories. All designs, text and photos copyright Sparkle Plenty Fine Beaded Jewellery 2002-2013 and may not be reproduced in whole or in part without prior, express written permission. All rights reserved.